Many of digital marketing’s advantages and pitfalls are one in the same. This space has low barriers to entry, meaning that with a relatively small amount of capital, you can create a website and drive search traffic to that website using a variety of tools and tactics. However, because this arena moves so quickly, the best practices for search engine optimization can change rather quickly. It’s important to take stock of what you’re doing with your current website. If you haven’t evaluated your website’s SEO practices in some time, you may be behind! Once upon a time, keyword targeting was hyper-specific. 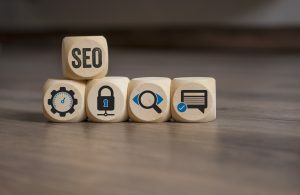 You would choose a single keyword or keyword phrase for a webpage, and attempt to stuff that keyword into the copy on your page as much as possible. Google’s search capabilities are always evolving, and one of the biggest advancements in this area is semantic search. Semantic search allows Google to understand the relationship between various keywords and keyword phrases. So, instead of stuffing your copy with the same keyword phrase again and again, it’s better to cover to focus on the quality of writing for the copy. The phrase “consistency is key,” sounds cliche, but it really holds true for SEO and social media practices. Producing content on a consistent schedule helps you accomplish a number of objectives with your website. For one, it builds your authority with your audience base. After all, not all of your content efforts should be focused at Google. There’s a real user on the other end of the search bar. Secondly, consistent content allows Google to index more pages on your site, and increases your opportunities to rank on Google. Due to the advancements in Google’s search technology, SEO isn’t just a numbers game. It’s not strictly about word count and keyword ratios. Your content needs to serve its intended purpose in order to rank! That means that whatever your title says it’s going to do for your audience, it should do. “The Best Ways to Save Money at the Grocery Store” should include tips that the reader can actually use. Any online content that doesn’t help its audience won’t be ranked highly in search. We want to create content that drives traffic to your website! MDPM Consulting is a digital marketing firm that specializes in dental practices. Our team of writers can create instructive content centered around services that your practice provides. Improving traffic to your website is a great way to add new patients. To learn about our content creation services, contact MDPM Consulting in Dallas, TX at 927-781-8861.